We're celebrating the anniversary of two big events this week: the fall of the Berlin Wall, and the birth of Firefox. We'll remember one of them as bringing freedom to millions and dealing a hammer blow to a repressive regime, and we'll remember the other as that thing where Bono ponced around in front of the Brandenburg Gate. If it weren't for Firefox, you'd be reading this in IE6 - the software equivalent of the horrible Trabants the East Germans tooled around in before the Wall came down. It's a browser, certainly, in much the same way that a Trabant is a car. But the Trabant isn't a great car, and IE6 certainly isn't a great browser. Actually, that's a bit unfair. IE6 wasn't bad in 2001, when it was the culmination of an extraordinary effort by Microsoft to crush Netscape. From 1995 to 2001 Microsoft invested huge amounts of time and effort in Internet Explorer - and by huge we mean really huge: Spyglass developer Eric Sink says the IE4 team was 1,000 strong, "50 times the size of the Spyglass browser team… almost as many people as Netscape had in their whole company" - and by 2001 the battle had been won - at which point Microsoft effectively said "Internet Schminternet" and shut down the Internet Explorer team. In one fell swoop Microsoft went from "Browser war!" to "Browser? Snore!" That's when things got nasty. Viruses, malware and really horrible websites proliferated, and it wasn't until Firefox had spent three years comprehensively kicking Internet Explorer's electronic arse, bringing its market share down from nearly 100% to 70-odd percent (it's 62.11% today, says Wikipedia), that Microsoft magically and entirely coincidentally decided that it was time to bring out a new version of Internet Explorer. Most of the stuff you take for granted today - including stuff in Internet Explorer - was popularised by Firefox. Integrated search. Tabbed browsing. Recently visited URLs in the address bar. A central download manager. Browser themes. Extensions. Password management. Third-party cookie blocking. Speed. Proper web standards support. It doesn't matter what browser you use, or what platform your PC runs. 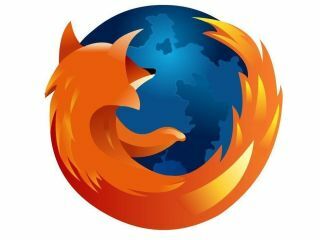 If you use the internet, you owe Firefox a big thanks. It's informed the design of other browsers, it's given Microsoft a well-deserved boot up the backside, and it's helped make the internet safer, smarter and standards compliant. Not bad for a five-year-old, eh?